Since Thursday we are at a new park, Live Oak Landing, near Freeport. There are 50 motorhomes here just like ours. Many of the people we have met before at similar events. It is much like boating rendezvous with pot luck dinners, presentations, and tours of each others' units. 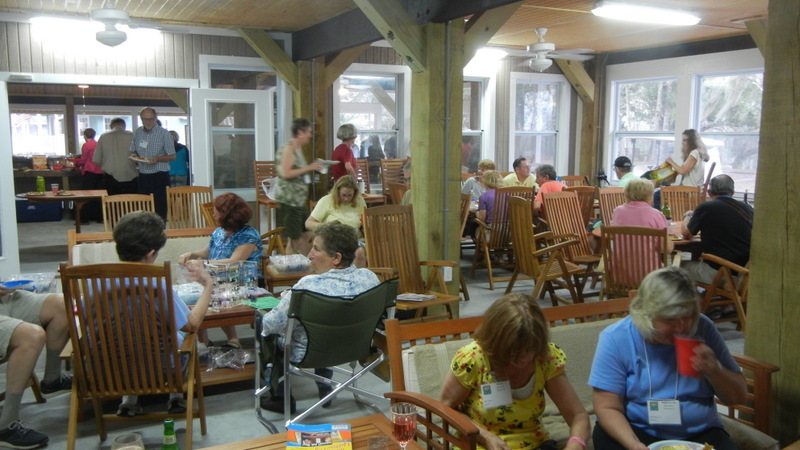 The park has a beautiful party room with a screened in porch for cooking and a large meeting room with teak tables and chairs. Monday we head for Nashville.